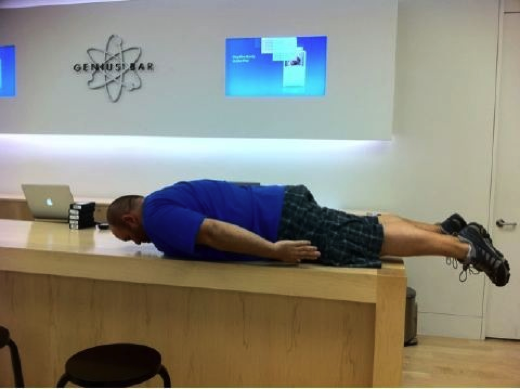 A new blog has sprung up showing off Apple employees ‘planking’ at Apple Stores. The Tumblr hosted blog sprang into existence about 5 days ago and has been making the rounds on Twitter. It’s worth a laugh if you’re ok with Apple geniuses having a well earned lie-down in a truly ridiculous manner after dealing with customers all day. 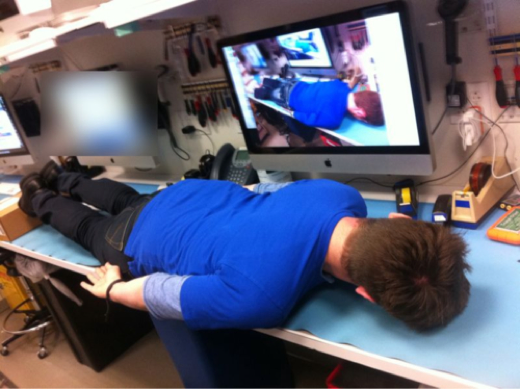 You can check out the Apple Store Planking blog to see more iPlankers.